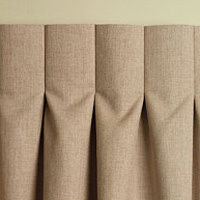 Whenever someone asks me about drapery styles, I always start talking about the inverted box pleat. 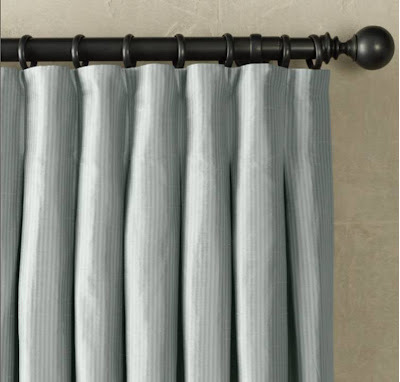 I love the clean pleat and versatile feel-- it goes with almost every interior style. It's my go-to drape. Drapery panels made with an inverted box pleat are double the fullness of the window. So they always look full and luxurious. 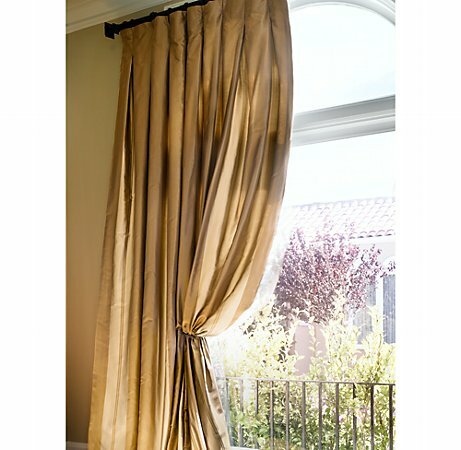 When you close these drapes, the top of the panel is smooth and flat (creating a clean modern look). Then, when they're open? The box pleats stack PERFECTLY. They never look fussy, or "old lady"... I love this tailored style. It's my fave. If you can't afford to have them custom made, you can buy FABULOUS versions at Restoration Hardware. Really. They make such a wonderful ready-made drape. With an inverted box pleat. The Shade Store is also a great resource for ready made drapery (excellent customer service!). They offer such a wide variety of styles and colors. They also ship for FREE and deliver within 2 weeks of placing your order. Pretty impressive, no? The Shade Store is definitely worth a look if you're in the market for new drapery. Thank you for this. 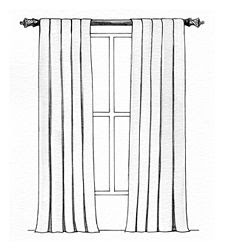 I am in the market for new drapes and had been trying to make myself like a couple of the pinch pleat styles, with little success. I like this SO much better. Thanks for sharing! 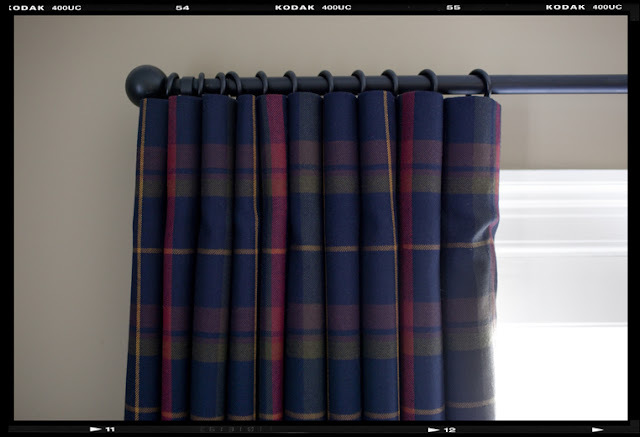 The drapery you posted looks so pretty (love the Lonny one with the two tones). I like pleats for bed skirts too, it's so much cleaner looking. Found your blog via Jenny Komenda on twitter. Totally my fave look on curtains! Thank you for sharing a couple more resources! Love these, they are one of my favorites too. Last week I posted a double box pleat that I made. I have always loved that look! 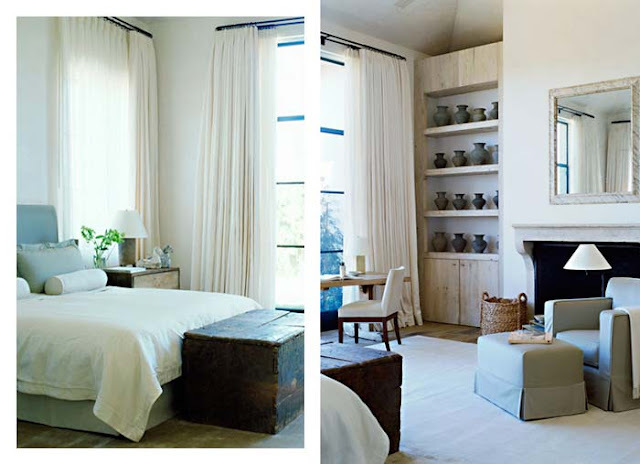 I need new panels in my bedroom; I just may have to use them! This is really lovely. i wonder if there is a tutorial out there. It's the calculations that make it so difficult to diy! Great DIY tip! 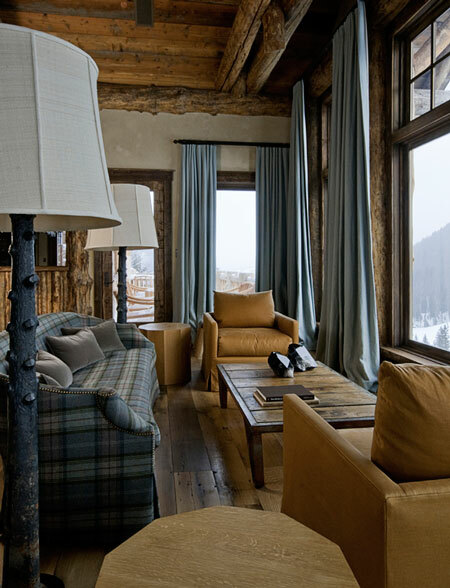 Window treatments are like mascara, in my opinion. Putting these finishing touches on makes a huge difference! Mind you...I have blonde eyelashes so mascara is a must. 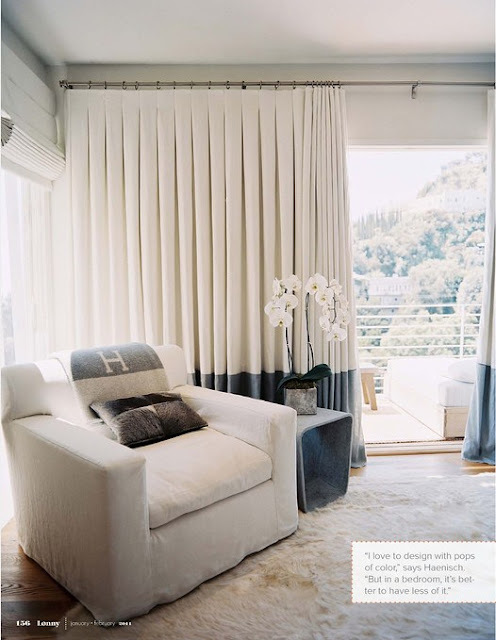 But so are window treatments! Comment accrocher à la barre les tentures à plis creux renversé. Faut-il un bukram? Quelle genre d'attaches? Comment accrocher à la barre les tentures à plis creux renversés. Quelle genre d'attaches? Faut-il de la ruflette? How to hang on(to collide) on the bar(helm) hangings with opposite hollow folds. What kind(genre) of ties?